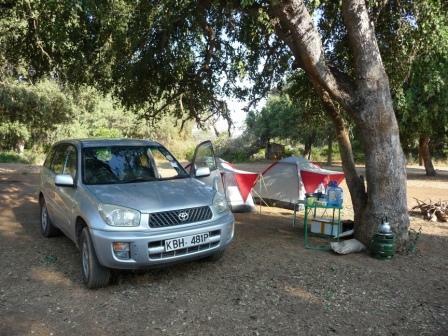 Knowing about Kenya Car Rentals, when you are planning a self-drive safari in Kenya, is absolutely crucial! If you are just staying in and around town, you can do with a 'normal' vehicle, but as soon as you get out, a 4x4 is pretty much a must. It will be important to have a rough idea, if not an exact idea, of your route and what streets, or better yet, to know the level of dirt roads you will be driving on. This will determine the type of a 4x4 vehicle you should get. 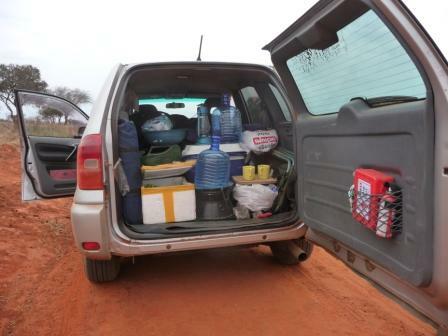 It is also important to know how many people will be in your group and if it will be purely camping, hence more supplies and gear, or if you will be staying at lodges or tented camps, etc. 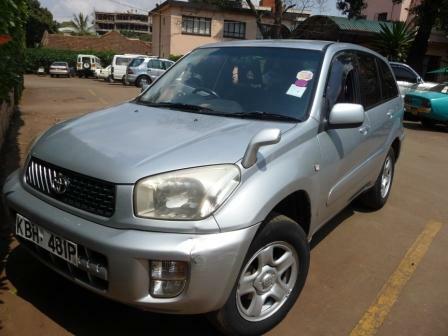 In the later case, the chances are that you will be more on 'good' roads, then you can go with a smaller 4x4, such as a Toyota Rav4, which will save you a good amount of money, if budget is a concern. If you are planning on going for a more adventurous route and hitting different public or park campsites along the way, a sturdier, larger 4x4 is advisable, as you will encounter some rather rough roads. This would be more in line with a Toyota Landcruiser, Prado or Pajero. In addition, if you are more than 2 people, and have a lot of gear with you, those vehicles will be an excellent choice. After doing some intense research on Kenya car rentals, there are two organizations that come most highly recommended. For the larger size 4x4 Kenya car rentals please contact us with the below form as well with specifics on what you are looking for and we'll sort you out!! I will focus a bit more on the smaller 4x4 here, as that is what I traveled with on my latest trip around the country. Car charger – VERY important for charging everything from your camera batteries, phone, laptop etc. Get a feeling and know the clearance that your car has underneath to maneuver around and over all the pot holes. This isn’t so much an issue on the bigger 4x4’s, as they have a higher clearance in general. When you are renting camping gear with the car, make sure you check EVERYTHING before you leave the city. It’s also good to know what you already have and see if there is anything else that you think you might have forgotten. Note: There are small gas stations pretty much everywhere, but do make sure you have an idea approximately where they are, and if in doubt, take an extra 20 liter canister with you. You get those in Nakumat stores and it is worth a lot to have peace of mind if it comes to knowing you have enough gas/petrol with you! My friend and I decided to go with the Rav4, as our budget was on the low side and we are both light travelers, hence thinking we will be fine space-wise, which we were. We went for a camping trip, so we did rent some gear as well and purchased our own food and supplies. If you would like some help with finding the right car or 4x4 for your adventure, please use the form below to tell us what you are looking for and we will find the lowest rate and best set-up for you!